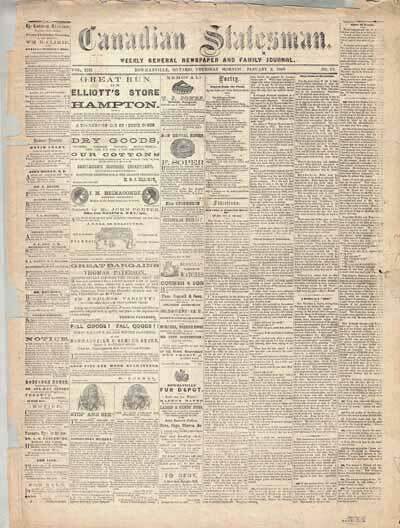 First started publication in Bowmanville in 1837. Published by the James family for over 100 years. Now owned by the Metroland newspaper chain: merged in 1998, then merged with Clarington This Week in 2007 and finally a discontinued publication in December 2008.